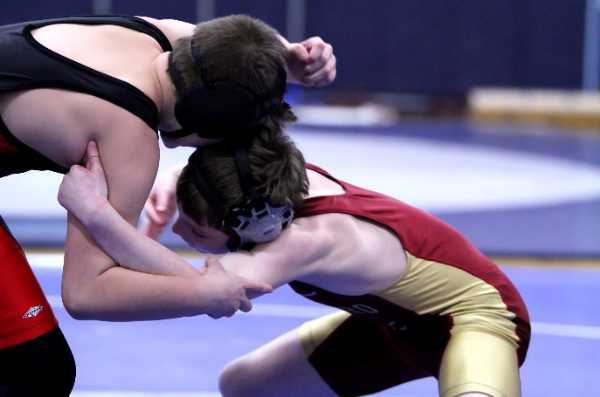 I finished my middle school season by winning the league championship at 110lbs with 3 falls all in the first period. I finished the season 11-0 with 10 falls and 1 tech fall. 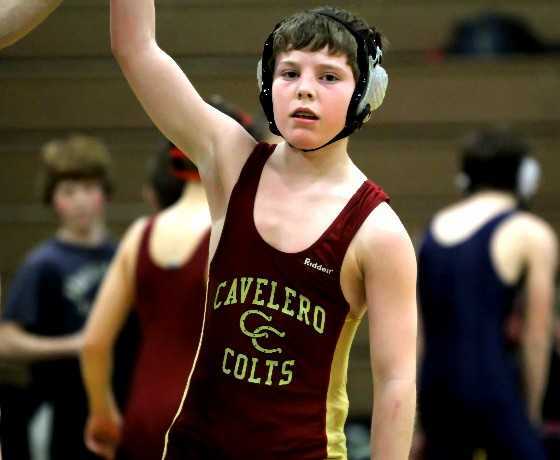 I finished my middle school career 30-0 with 29 falls and 1 tech fall. Next year it's on to High School wrestling. Scored 2 more falls to improve to 8-0 on the season. My team defeated Marysville but lost to Totem. Got two more wins by fall vs Monroe and Sultan. My team lost both duals. We were missing a couple kids in the lineup due to poor grades. My record improved to 6-0 on the season. 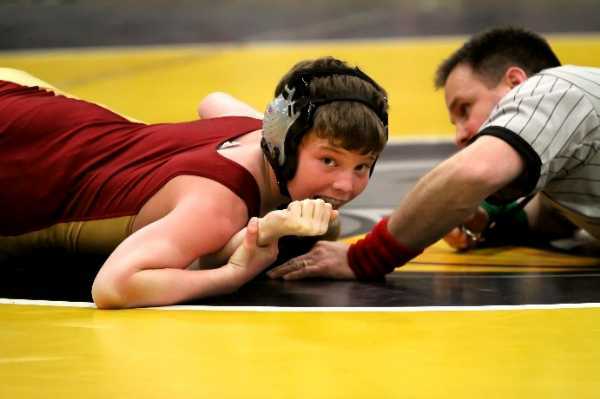 I got wins over Valley View by fall and by tech fall over Centennial to improve to 4-0 on the middle school season. My team also won and are now 4-2 on the year. After sitting out the first double dual of the season due to illness, I won by fall in both matches and my team won both of the duals after losing the first two duals of the year with a partial lineup of starters. I won the 105lb South County Middle School Championships pinning all three of my opponents in the first round. I finsihed the MS season 12-0 with all wins by fall. 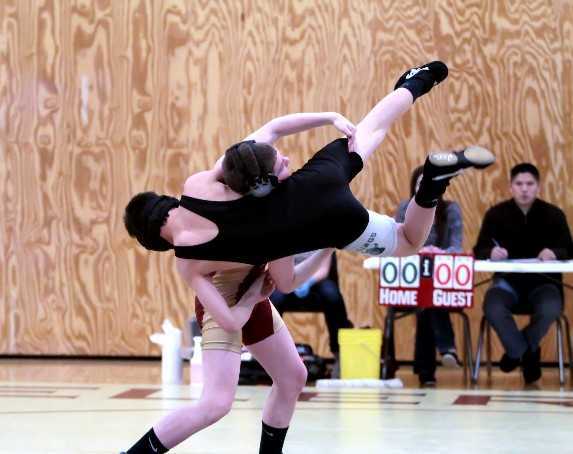 I finished the regular season undefeated, unscored on and by winning all matches by fall. Next week is the district championships. My season record is 9-0. My team also won to finish the regular season 8-2. Wrestled vs Post and Haller from Arlington today. I scored two more first period falls to improve to 8-0 on the year with all wins by fall. My team also won both duals and improved to 7-2 on the year. Scored two more victories by fall although my team defeated Valley view they lost to Centennial.